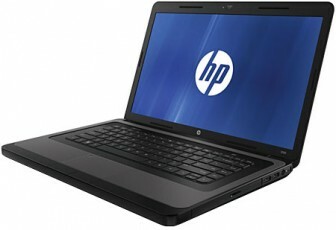 Hewlett-Packard has recently released a new laptop which could easily be leading the list of cheapest laptop available. It is even cheaper than the recently unveiled Intel version. This affordable 15.6inch notebook features an AMD processor and is called the HP 2000z. This 15.6inch model has an LCD display of resolution 1366 x 768pixels. The HP 2000z is powered by AMD Fusion chips from Ontario and Zacate family and the basic configuration provided to the model is the AMD Dual-Core C-50 with an integrated graphics card and single channel DDR3 memory module. It has a clock rate of 1GHz. There are the E-240 and E-350 available as options as well. A 2GB RAM is provided with this model which can also extend to 4GB and the storage provided is 320GB with an option of a 500GB HDD. Other Specifications with this model include a DVD burner, 802.11n Wi-Fi, three USB 2.0 ports, VGA and a multi-in-one media card reader. HDMI port is not present in this model. This cheapest HP 2000z model is priced very competitively at $349.99 though the optional upgrades will increase the price relatively, while purchasing the device from HP official online store.